In 2014, the U.S. Supreme Court decided a case that, for the most part, banned the kind of “do it on a computer” style patents that have plagued the U.S. patent system for decades. Ever since then, IP maximalists have been doing whatever they can to roll back or reverse the landmark Alice v. CLS Bank case. Small businesses, meanwhile, rely on it to avoid death-by-patent-troll. Today, we take a look at a patent that shows why the Supreme Court’s Alice decision is so vital. U.S. Patent No. 7,177,838 claims “electronic tokens,” and the primary claim simply describes using such tokens in Internet commerce. The patent dates back to an application first filed in 2000, a time when many “inventions” were able to get the stamp of approval from the Patent Office simply because they mentioned the World Wide Web. The ’838 patent is nothing more than a kind of “e-money,” and as most people should be able to see, that’s not really much of an invention, much less a patentable one. Using tokens and symbols to represent monetary value is as old as currency itself. It’s a classic example of something that has existed for a long time before the Internet and before computers—clearly abstract and barred under Alice. Playsaurus decided to fight back rather than pay that fee. 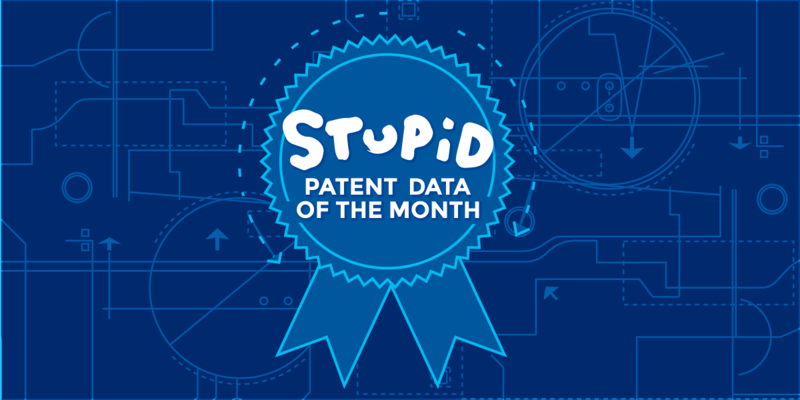 The company’s attorney wrote a letter to GTX correctly noting that the ’838 patent is “a perfect example of a patent that is subject matter ineligible under 35 U.S.C. § 101.” Issuing tokens for purchases just isn’t an invention, and shouldn’t be considered one, whether it’s done on a computer, on the Internet, or offline. GTX’s stunning suggestion that its electronic token idea is a patentable concept, deserving of a $35,000 payout, didn’t escape the notice of the programming community and the technology press. Putting aside Alice, the patent has other serious problems. GTX and inventor Martin Ling were not the first to use tokens as cash even in the context of a videogame. Playsaurus cites just one example of this, the 2000 game Neopets, in which “users could buy and use Neocash within the game.” Electronic payments systems also had been theorized, analyzed, and discussed in academic literature well before 2000. The ’838 patent is also currently featured in Unified Patents’ prior art crowdsourcing project Patroll. If you know of any more prior art for the ’838 patent, you can submit it (before May 4) to Unified Patents for a possible $2,000 prize. Changes to the patent system, including the Alice v. CLS Bank decision, have helped make it easier for a company like Playsaurus to resist against a bogus patent demand. But Alice has threatened the trolling business model so much that it keeps facing threats, in both courts and Congress. A recent decision called Berkheimer v. HP may make it much harder to defend a case using Alice. In Berkheimer, the district court invalidated a patent that described a system for “archiving and outputting documents.” But the district court judge was overturned on appeal, when the U.S. Court of Appeals for the Federal Circuit held [PDF] that whether or not a technology was “well-understood, routine, and conventional” is a factual determination that requires more proceedings. This ruling could undermine a key benefit of Alice: namely, that patent defendants shouldn’t have to engage in expensive discovery and trial proceedings to negate patents that are abstract on their face. The defendant in that case, HP, has asked the full Federal Circuit to reconsider that decision, and we agree that it warrants the court’s attention. Businesses like Playsaurus shouldn’t have to go through extensive discovery and motion practice to prove what real innovators in their industry know: e-tokens are an abstract idea and not eligible for a patent. Neither are ideas like tracking a package, or remotely diagnosing an illness, or holding a photo contest. The Alice decision is indispensable to small businesses that are being held up by such patents, and it’s worth protecting.